Join us for a lecture by Catherine Knight Steele (Department of Communication, University of Maryland) on how black women utilize online blogging platforms in celebration and critique, in the process becoming an important counterpublic. Dr. Steele’s latest project, and the topic of this lecture, is on digital black feminism and how the affordances of new media technology are shaping black feminist discourse online. She provides critical analysis of the digital culture of black and white feminist thought in the blogs Jezebel and For Harriet, by examining what happens when the subject, the black body, at least temporarily does not exist as an ‘other’ but is squarely within a context that allows it to be merely a body. Dr. Catherine Knight Steele is a scholar of race, gender and media with specific focus on African American culture and discourse in traditional and new media. She is a native Chicagoan and received her Ph.D. in Communication from the University of Illinois at Chicago. Her research has appeared in the Howard Journal of Communications and the book Intersectional Internet (S.U. Noble and B. Tynes Eds.) Her doctoral dissertation, Digital Barbershops, focused heavily on the black blogosphere and the politics of online counterpublics. She examines representations of marginalized communities in the media and how traditionally marginalized populations resist oppression and utilize online technology to create spaces of community. She is currently working on a monograph about digital black feminism and new media technologies. Dr. Steele also serves as the first Project Director for the Andrew W. Mellon Foundation funded College of Arts and Humanities grant, Synergies among Digital Humanities and African American History and Culture. Check out Dr. Steele’s website to learn more about her work. Each year the Humanities Lab undertakes an investigation of a specific question or topic. For the 2017-2018 academic year we are investigating the concept of revolution, especially focusing on interdisciplinary cultural, technological, and political perspectives. Our investigation for this year is anchored by two anniversaries of important historical and cultural events: the 100 years of the Russian Revolution in October 1917, and the 200 years of the publication of Mary Shelley’s Frankenstein in January 1818. Our lectures focus on political transformation, technological bodies, revolution, perception, and art. Join us for a lecture by Professor Arthur Shapiro (Department of Psychology and Computer Science, American University) on visual illusions and the complex processes of human perception. Have you ever seen the Duck-Rabbit illusion? It is an image that people see and interpret differently, sometimes seeing the rabbit, sometimes the duck, sometimes both at the same time. Philosopher Ludwig Wittgenstein used this image to describe the problem of perception as “seeing that” (“It’s a rabbit”) and “seeing as” (“I see this picture as a rabbit”). In this accessible and fun lecture, Artur Shapiro will explore the difference between what we see and how we understand and interpret what we see, by using examples from his current laboratory research and award winning visual illusions. Arthur Shapiro completed his undergraduate work in Mathematics (Computer Science) and Psychology (Cognitive Science) at U.C. San Diego. He received his Ph.D. in Psychology from Columbia University and did post-doctoral research at the University of Chicago in the Department of Ophthalmology and Visual Sciences. He has been interested in illusions ever since his parents first took him to a science museum. He started producing research related to illusions in 2002, following a sabbatical year at the University of Cambridge. In addition to his research, Shapiro is currently co-editing The Oxford Compendium of Visual Illusions. In addition to being an academic, Shapiro is also a vision scientist and an internationally acclaimed creator of visual illusions. Many of his illusions have won awards in the “Best Visual Illusion of the Year” contest, sponsored by the Neural Correlate Society. The contest started in 2005, and since then Shapiro’s lab has produced twelve illusions in the top ten, and six illusions in the top three—more than any other researcher or research team. The National Geographic show Brain Games has featured several of Shapiro’s illusions. Here are some great pictures from the event. Click here for the full album. In this engaging and creative discussion, writer and cultural critic Arielle Bernstein explores the emotional power of objects, from everyday things to precious mementos and historical documents. Arielle Bernstein learned the value of preserving material things from her Cuban-Jewish mother, who grew up under Fidel Castro, and whose own parents had immigrated from to Havana from Poland to escape the Holocaust. Clutter was seen as a source of warmth and comfort, from the cans of Café Bustelo that her mother would save for storage growing up, to the useful gifts of socks, toothbrushes, and jars of peanut butter, that her parents still bring her when they come to visit. Yet the messages she received from mainstream American culture taught her a different narrative, one in which clutter was seen as a source of shame, rather than joy. From advertisements that tell consumers they’ll be happier abandoning their old shoes, handbags, and electronics for the latest trend, to salacious shows like Hoarders that emphasize the way that unchecked keeping can manifest as mental illness, to spring cleaning articles in magazines that encourage readers to purge many of the same items they sold them over Christmas, American culture is consumed by both the allure and danger of material possessions. In her book-in-progress CHASING EMPTY-AN AMERICAN HISTORY OF LOVING AND LOATHING OUR MATERIAL THINGS, Bernstein argues that today’s minimalist trend has been co-opted into just the latest consumer trend, one that sells products meant to replace old things with new ones, rather than simply scale back. While Marie Kondo and many other online minimalist gurus earnestly urge consumers to change their attitude towards material things, the advent of new minimalist products, from tiny houses, to minimalist shoes, to minimalist toothbrushes, has transformed minimalism into yet another consumable product. This talk will offer a rich and compassionate look at the challenges of deciding which things to keep and which things to discard, and how the way in which minimalism has been co-opted by consumer culture ends up obscuring the power of preserving and valuing the things we choose to keep. Arielle Bernstein is a writer, professor, and cultural critic who lives in Washington, DC and has been teaching in AU’s Writing Studies Program since 2008. Her work has been featured in The Atlantic , Slate Magazine, Salon, and The Rumpus, among other publications. She is represented by Christopher Rhodes at The Stuart Agency. You can find her personal narratives and book, film reviews up at The Rumpus and The Millions. Additionally, her fiction has been featured in PANK 10, Literary Orphans, The Puritan, The Rattling Wall Issue 4, Connotation Press and many other journals. How can we understand the experiences of people whose lives have become radically displaced or deterritorialized?In this lecture, Professor Ricardo Ortiz discusses displacement in the film Sin Nombre. Wednesday March 25, 2014, 3 p.m.
Ricardo Ortiz is associate professor of US Latino Literature and Culture at Georgetown University. His work focuses on hemispheric, transnational “Américas” Studies, cultural studies, and race, gender and queer theory. For this talk, he discusses the representation of migration and violence in the film Sin Nombre (Cary Fukunaga, 2009), which follows illegal immigrants and escaping gang members on the dangerous train journey from Honduras, through Mexico, to the United States. Combining fictional and documentary elements, and filming in real locations with real people, the film becomes an emotional testament of migration and displacement. A film screening will be scheduled for early March. Sin Nombre is a film directed by Cary Fukunaga, featuring the character(s) Sayra (Paulina Gaitan), a Honduran teen, hungers for a better life. Her chance for one comes when she is reunited with her long-estranged father, who intends to emigrate to Mexico and then enter the United States. Sayra’s life collides with a pair of Mexican gangmembers (Edgar Flores, Kristyan Ferrer) who have boarded the same American-bound train. How do we transform the landscape around us through stories, images, memories, and experiences? Join us for a lecture by David Pike on new urban geographies. For this project Professor Pike is introducing the AU community to geocaching, a collaborative project that connects physical and virtual space. Using mobile apps and maps, students from participating classes will “seed” the American University campus and other locations in the DC area with geocaches, and invite the community to find and respond to these hidden treasure troves. In addition to physical artifacts, historical materials, and clues for more interaction, geocaches will include stories, poems, and artwork, and elements that are real, imaginary, past, or lost. After the introductory lecture and workshop, follow-up events will extend this project throughout the semester— with the participation of graduate and undergraduate students and faculty from multiple departments and programs including literature, public history, world languages and cultures, art history, creative writing, arts management, college writing, film and visual media, philosophy and religion, graphic design, and computer science. David Pike is a professor of literature at American University, and the author of major books in urban studies, modernism, cinema, and comparative literature. Join us for a lecture by Professor Laura DeNardis on the material and geographical resources that power the internet. Wednesday January 21, 2014, 3 p.m.
How do technologies once imagined as disembodied or dispersed become local? 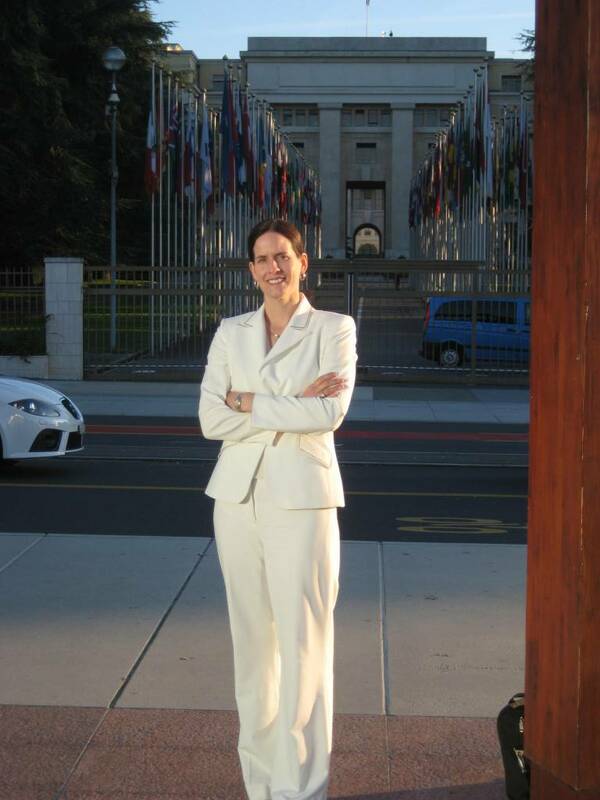 Laura DeNardis is one of the world’s foremost Internet governance scholars and a professor in the School of Communication at American University. In this talk she discusses current debates about internet infrastructure and neutrality, and traces how the internet has evolved from a dispersed and ethereal technology to a global everyday utility and a local, and fiercely debated, political resource. Her books include The Global War for Internet Governance (Yale University Press 2014), Opening Standards: The Global Politics of Interoperability (MIT Press 2011); Protocol Politics: The Globalization of Internet Governance (MIT Press 2009); and Information Technology in Theory (2007). Laura DeNardis holds an A.B. in Engineering Science from Dartmouth College; a Master of Engineering from Cornell University; a Ph.D. in Science and Technology Studies from Virginia Tech (Phi Kappa Phi); and was awarded a Postdoctoral Fellowship at the Information Society Project at Yale Law School. Protocol Politics examines what’s at stake politically, economically, and technically in the selection and adoption of a new Internet protocol. Laura DeNardis’s key insight is that protocols are political. IPv6 intersects with provocative topics including Internet civil liberties, US military objectives, globalization, institutional power struggles, and the promise of global democratic freedoms. DeNardis offers recommendations for Internet standards governance, based not only on technical concerns but on principles of openness and transparency, and examines the global implications of looming Internet address scarcity versus the slow deployment of the new protocol designed to solve this problem. Join us for a lecture by Professor Lindsey Green-Simms (Department of Literature, American University) on how luxury cars and car culture inform notions of cultural and social mobility in Africa. This talk examines car culture and the status of the private automobile in post oil-boom Nigeria by reading popular video films that are a part of the now-famous “Nollywood” industry. In particular, it will discuss how luxury cars like the Hummer or Mercedes Benz are paradigmatic and contradictory objects through which one can assess both the pleasures and anxieties of global modernity in Nigeria. Though these cars are highly coveted objects, typically filmed driving down paved roads in posh neighborhoods, they are often a sign of wealth that is acquired through criminality, witchcraft, magic, or fraud. Any discussion of car culture therefore requires an engagement with the complexities of the moral economy of Nigeria and assessment of what it means to be a capitalist consumer in a highly stratified oil-producing country.